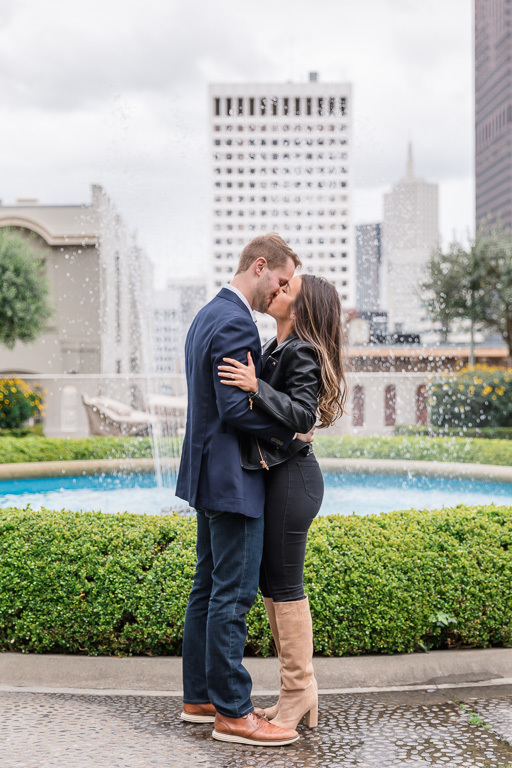 Peyton wanted to make his first visit to San Francisco with Bianca an extra special one for them to remember for a lifetime. 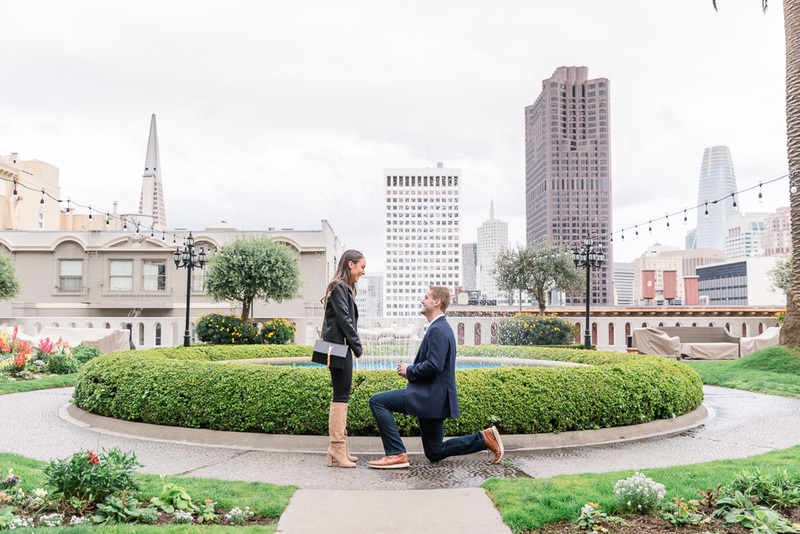 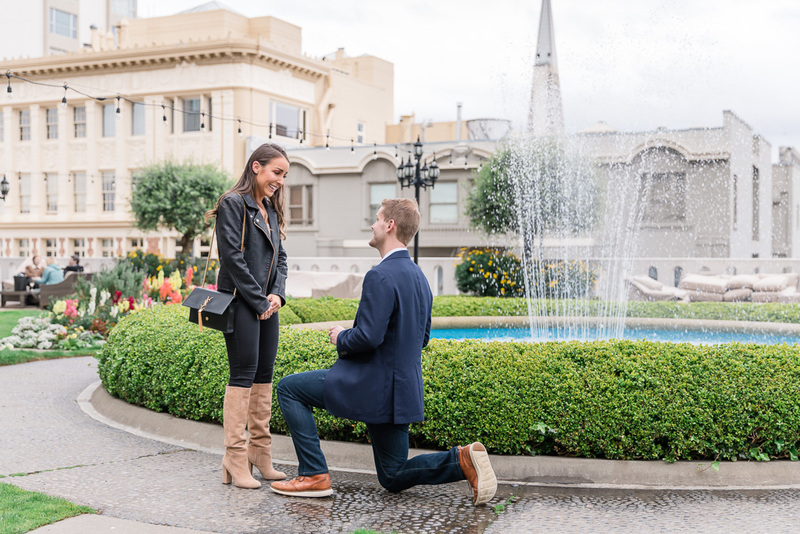 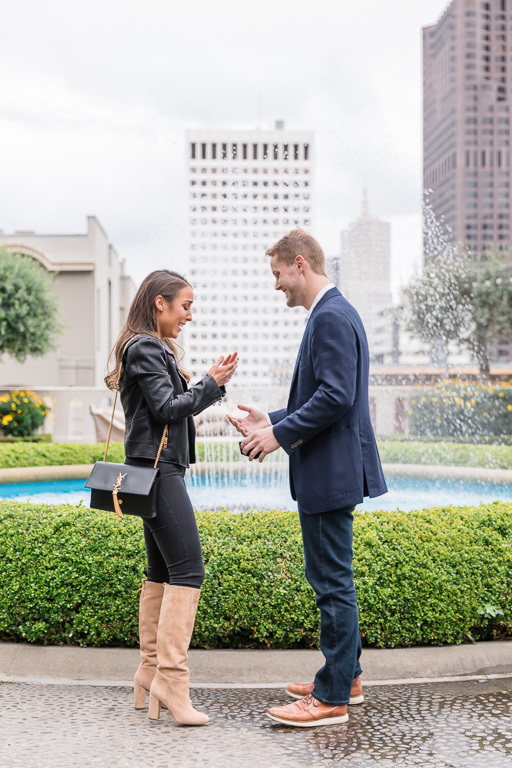 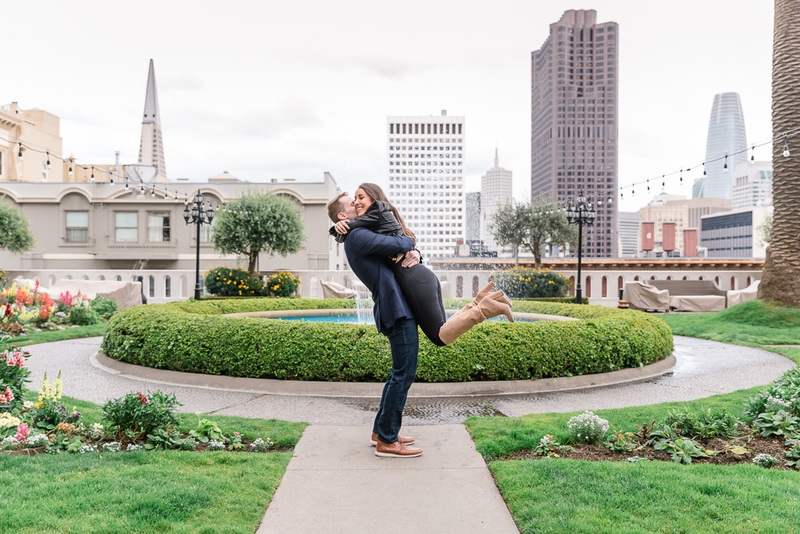 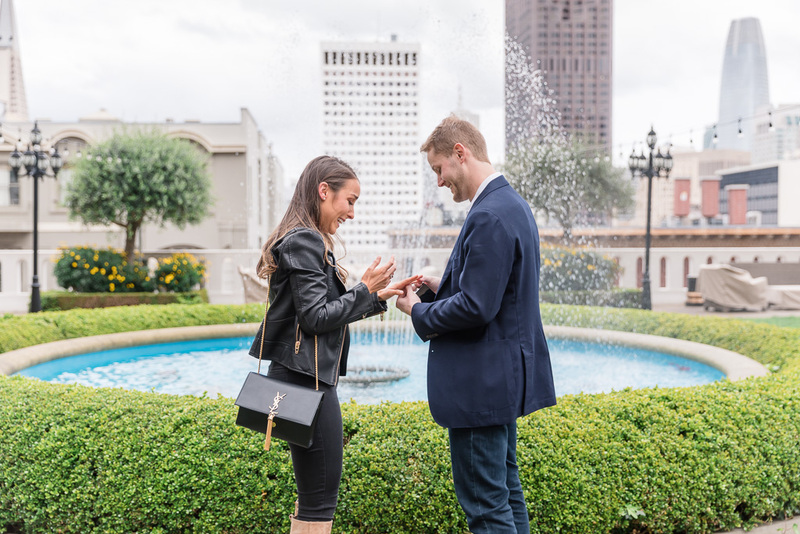 He didn’t originally intend for this to be a Fairmont rooftop garden proposal — originally, Peyton had planned to pop the question along the edge of the San Francisco Bay, but the weather forecast started looking worse and worse and had us looking for alternatives. 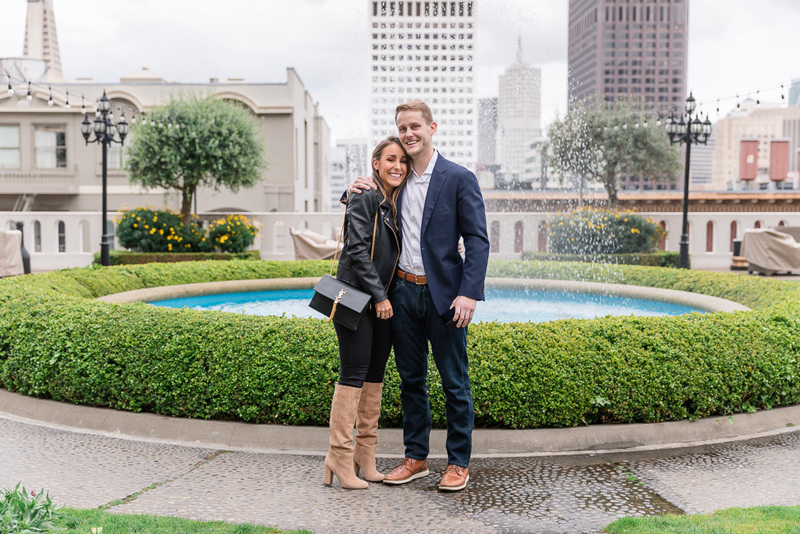 Luckily, they were actually staying at the Fairmont Hotel, which was fantastic because its beautiful garden with a sweeping view of the San Francisco skyline was just a short walk from their room! 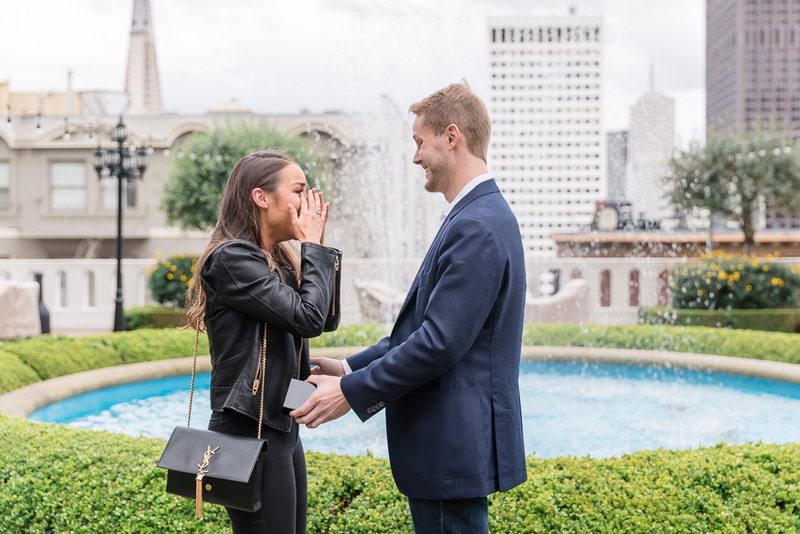 Bianca was overjoyed (of course! 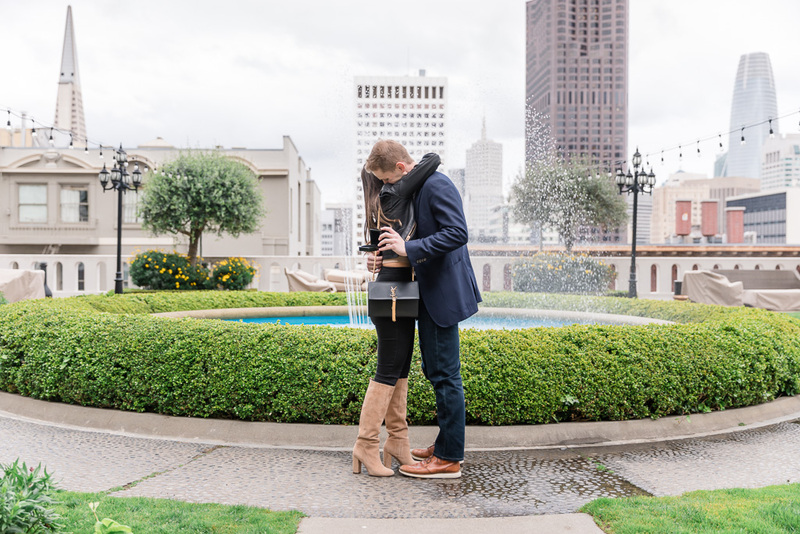 ), and I couldn’t have been more excited to capture this moment for the two of them. 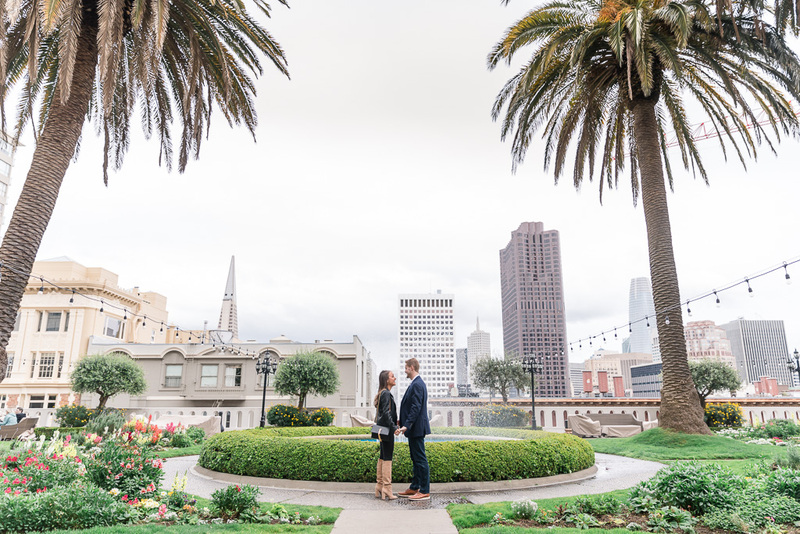 And to make this event even more perfect, it ended up not raining! 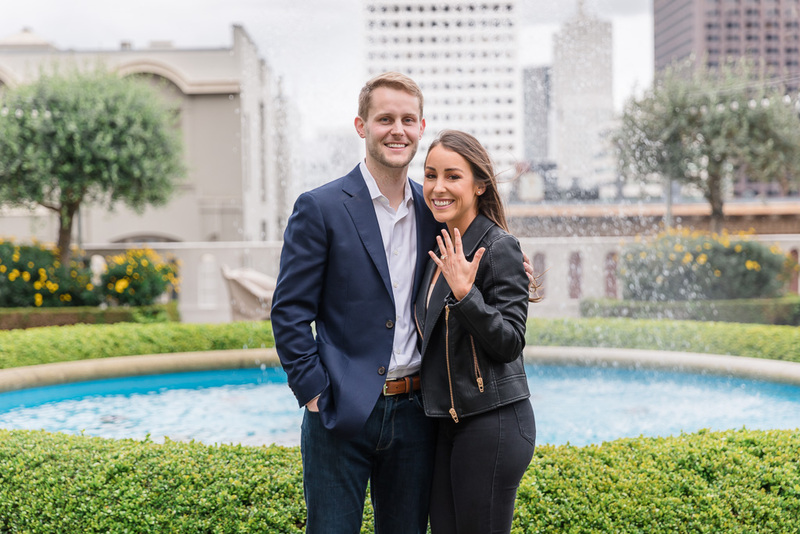 Take a look below at the happy and newly-engaged couple!